The founder and CEO of Thirst, Mina Guli is a global leader, entrepreneur and adventurer passionate and committed to making a difference in the world. Following a 15-year career as a world leader in climate change that started with law, but progressed quickly to the World Bank and to co-founding boutique investment firm Peony Capital, Mina established Thirst – a non-profit that is solving the water crisis by changing the way we think about water. Since its launch in 2012, Thirst has educated more than 2 million students in China, has had more than 600,000 participants in its innovation competitions and now works with more than 1000 qualified volunteers and has the support of the Chinese Government. To highlight the global water crisis, in 2016 Mina completed the 7 Deserts Run — running the equivalent of 40 marathons across 7 deserts on 7 continents in 7 weeks. A self-confessed “non-runner”, Mina told the stories of some of those affected by the crisis during the run. The success of the expedition encouraged Mina to undertake the 6 River Run in support of the UN’s Sustainable Development Goal 6. She ran 40 marathons in 40 days down 6 of the world’s great rivers on 6 continents. With media coverage around the world, including on CNN, BBC, ITV, ABC and CCTV, Mina’s messages about water have reached more than 4 billion people, inspiring a generation of water heroes. On November 4, 2018, Mina began her next challenge: #RunningDry, which will see her run 100 marathons in 100 days around the world for 1 reason — water. A research study that Mina participated in showed that 80% of Millennials changed their behavior once they learned more about the water crisis and the changes they could make to positively impact the problem. Three out of four Millennials wanted to amplify their impact by telling their friends, family, and community. [3:42] Mina tells us how a lawyer and banker became a woman on a mission to solve the global water crisis. [8:55] Learn more about the origin story of the #RunningDry movement and the 100 Marathons in 100 Days. [11:11] Mina talks about her time in Israel with the creators of drip irrigation at Netafim. [12:50] Mina shares the powerful story of how the seemingly darkest moment in her life actually shifted the #RunningDry movement from one woman’s crusade to a global movement. [23:06] What can we learn from tying water to activities people already enjoy and are engaged in such as running? [29:10] How can subject matter experts in water tell water’s story better? [32:15] Global water issues impact women and children on a far greater scale. Mina talks what it means for her to be a woman fighting for his cause amidst the Matt Damons (Water.org) and Scott Harrisons (Charity:Water) of the world. [35:30] Unlike other campaigns focused on the global water crisis, Mina’s is centered around building awareness and education efforts that promote behavior change. She talks about why companies like Colgate and Reebox have rallied behind this idea. [37:46] What does success look like? [40:25] How can you get involved in the #RunningDry movement and what’s next for Mina? 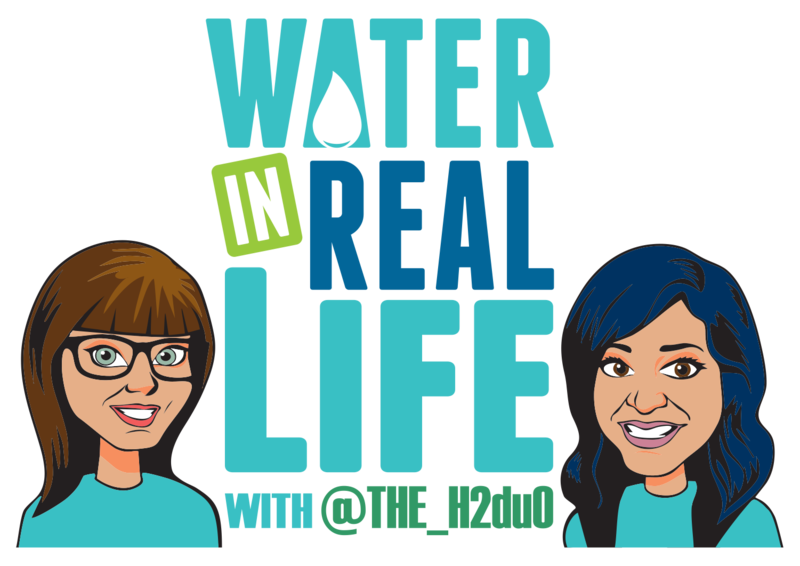 This episode is powered by Rogue Water, the public communication company founded by the H2duO, Stephanie Zavala and Arianne Shipley. Rogue Water is dedicated to revolutionizing the water industry—one person, one story, one experience at a time. We are award-winning communication professionals with a decade of experience working in water utilities moving the needle forward in communication, outreach, and education to build stronger relationships between the water sector and the public it serves. These relationships serve as the foundation needed to make the necessary changes that create a sustainable water future for all. Are you ready to go Rogue?